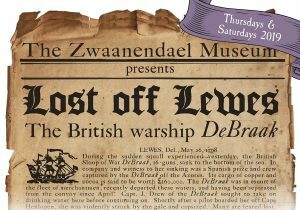 (DOVER, Del.—April 11, 2019)—Between June 13 and Sept. 26, 2019, the Zwaanendael Museum, located at 102 Kings Highway in Lewes, Del., will offer tours that explore the 18th-century history, artifacts and surviving hull section of His Majesty’s Sloop DeBraak, a British warship that was escorting and protecting a convoy of merchant ships en route to the United States when it was capsized and lost off the Delaware coast on May 25, 1798. Buoyed by a 46% increase in attendance between 2017 and 2018, tours will again be offered on both Thursday mornings and on selected Saturday evenings during the 2019 season. 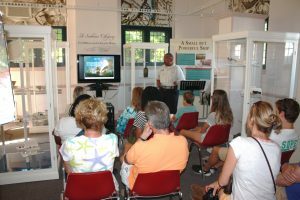 Thursday tours will take place at 9 a.m. on the following dates: June 13, 20 and 27; July 11, 18 and 25; Aug. 1, 8, 15, 22 and 29; and Sept. 5, 12, 19 and 26. (Note: Tours will not be held on Thursday, July 4.) Saturday tours will take place at 5 p.m. on June 29, July 27 and Aug. 31. 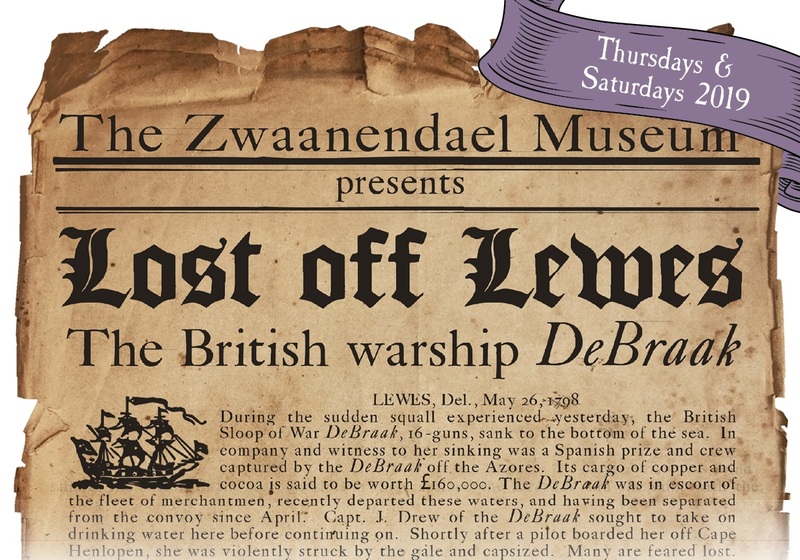 Tours begin at the Zwaanendael Museum where a lecture on the ship will be presented in conjunction with the exhibit “A Seaborne Citizenry: The DeBraak and Its Atlantic World.” Participants will learn about the history, crew and sinking of the DeBraak through a guided presentation and display of actual artifacts. Attendees will then be transported, via van, to the DeBraak conservation facility for interpretation and viewing of the ship’s surviving hull section. 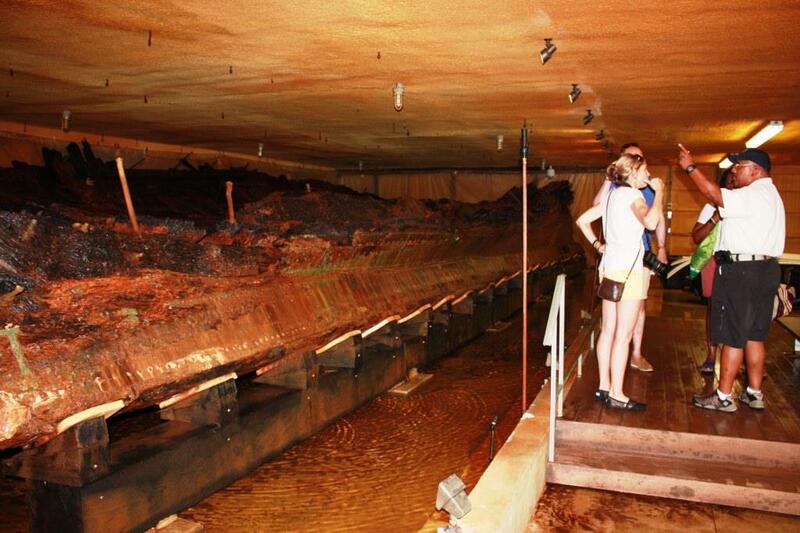 Each tour lasts approximately two hours. 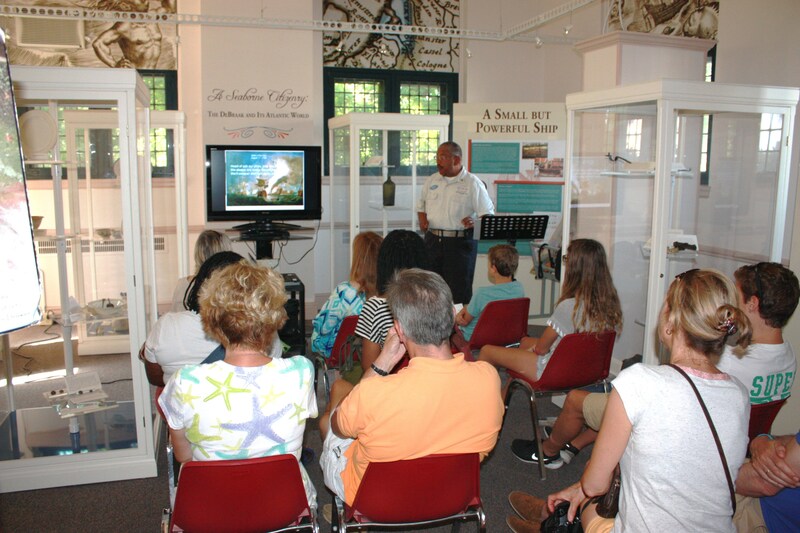 Visitors listening to a lecture on DeBraak at the Zwaanendael Museum. 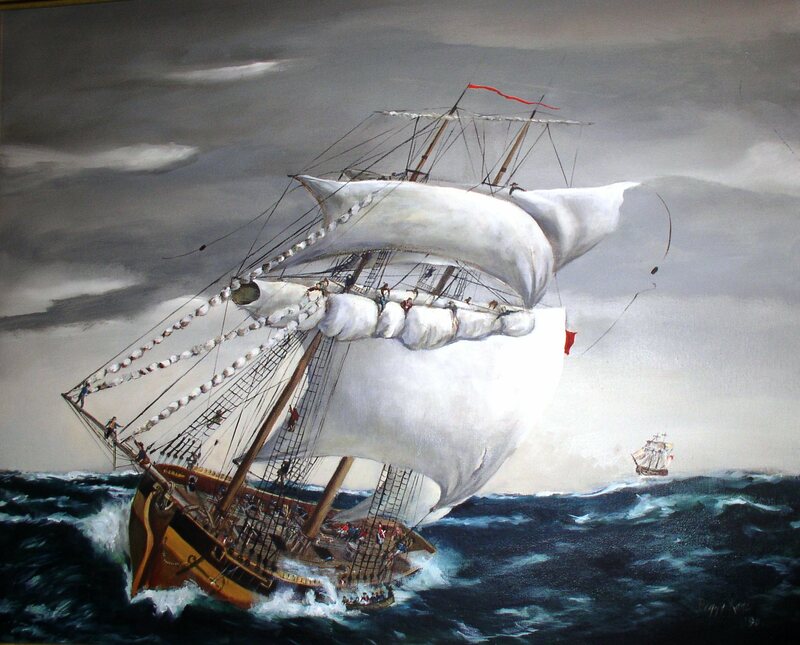 Sections of the exhibit “A Seaborne Citizenry: The DeBraak and Its Atlantic World” are on display in the room.